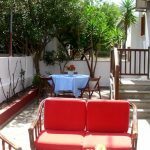 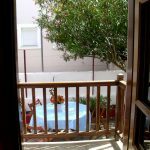 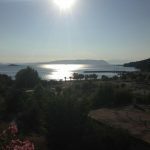 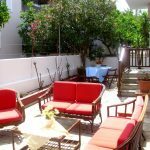 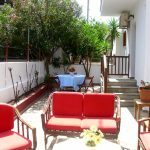 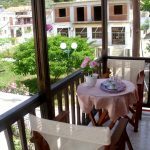 Located 150 m from the beach of Neo Klima, Studios Dafni feature self-catered accommodation with balcony overlooking the garden or the hills of Skopelos. 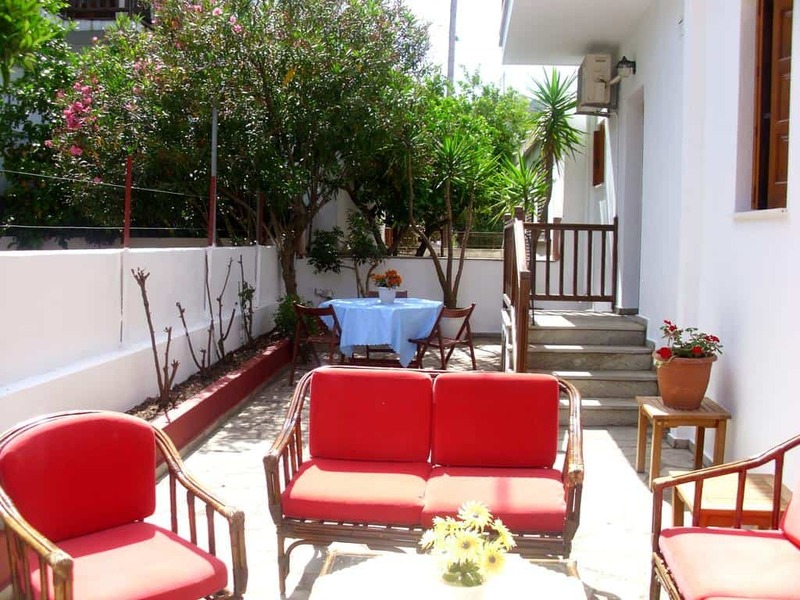 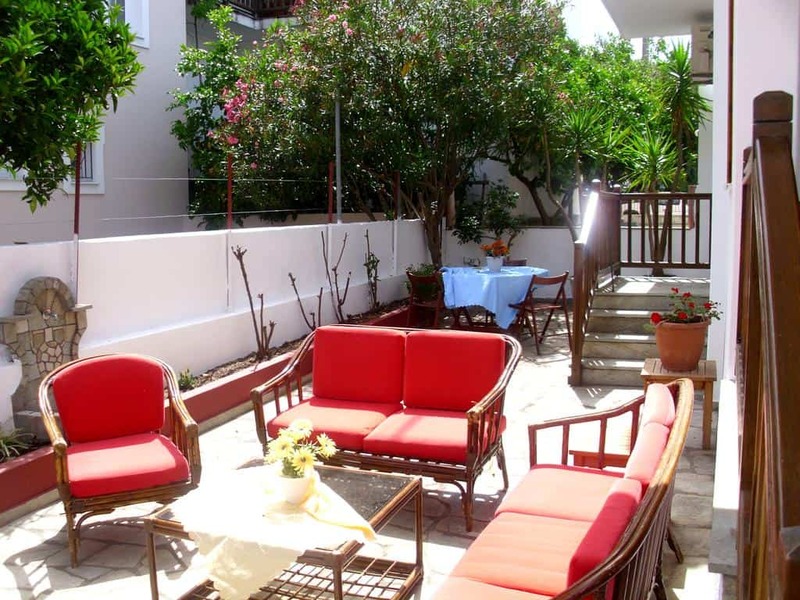 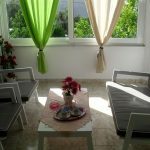 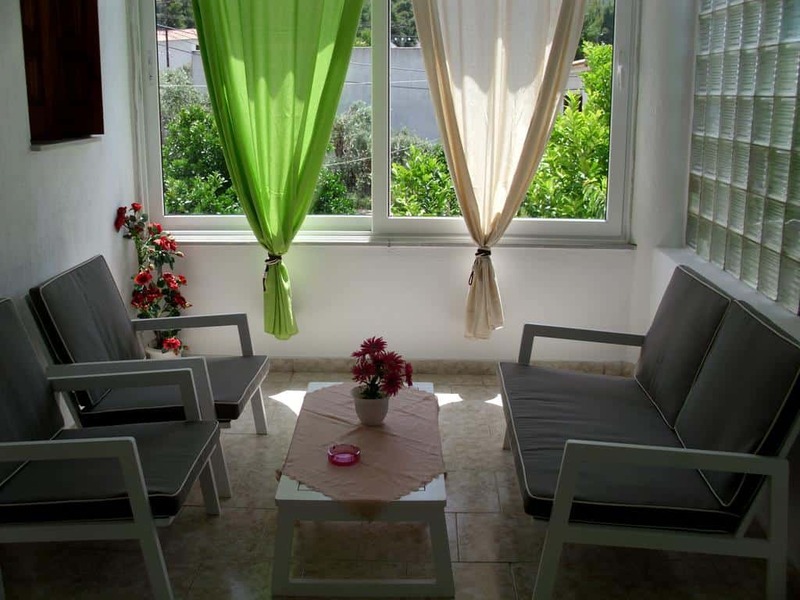 Dafni Studios are a 2-minute walk from Neo Klima Beach. 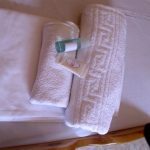 A 3-minute walk takes you to the shops as well as to a bus stop. 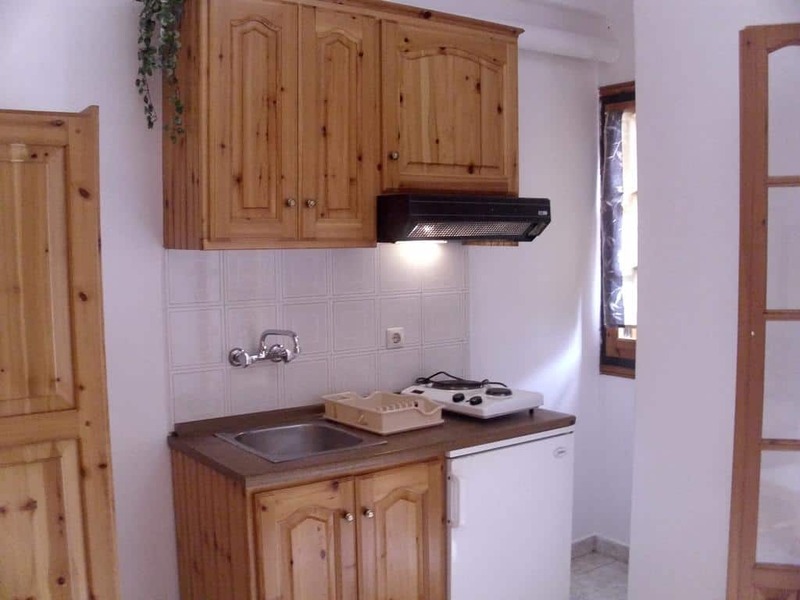 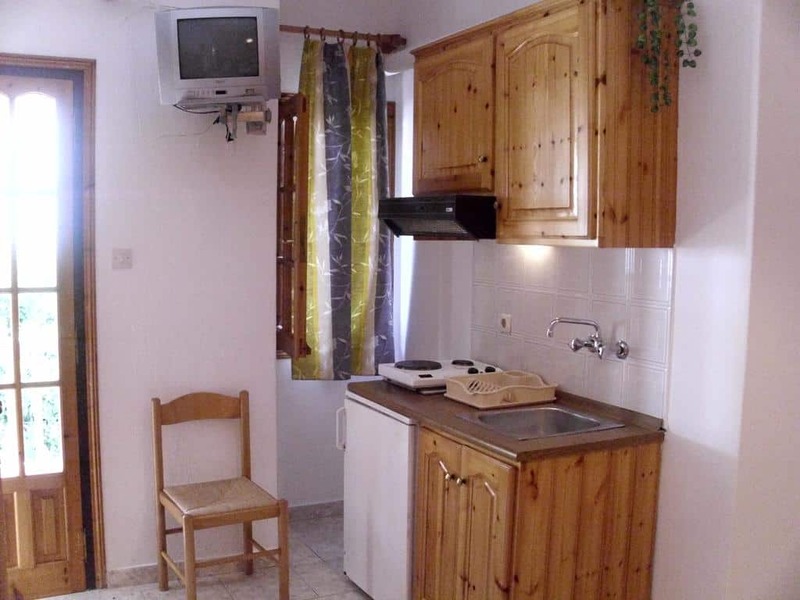 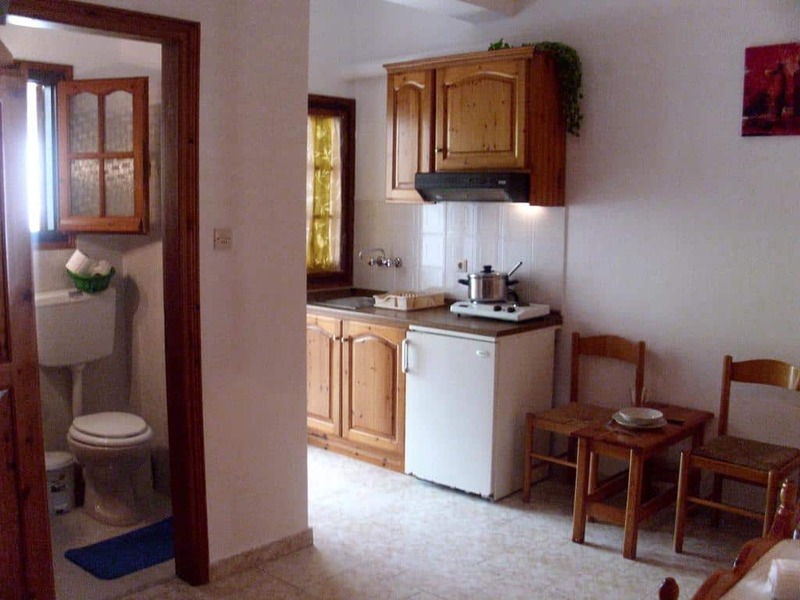 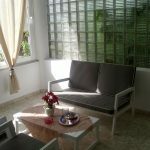 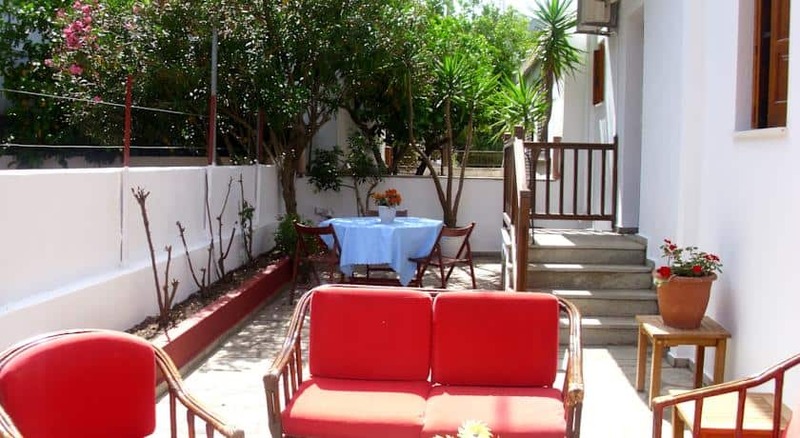 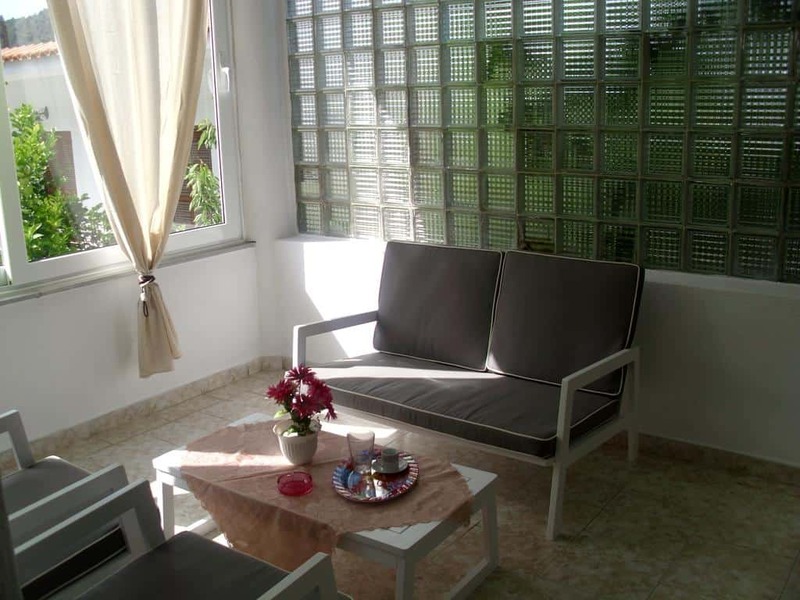 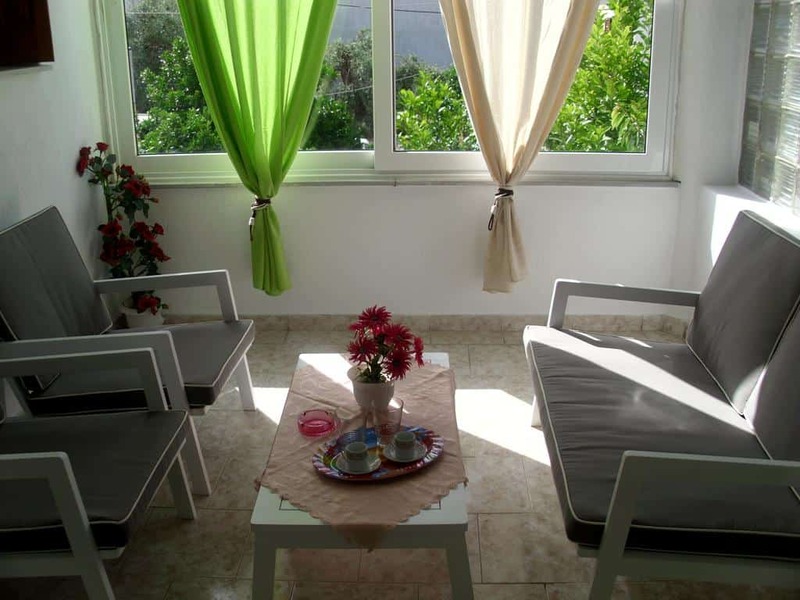 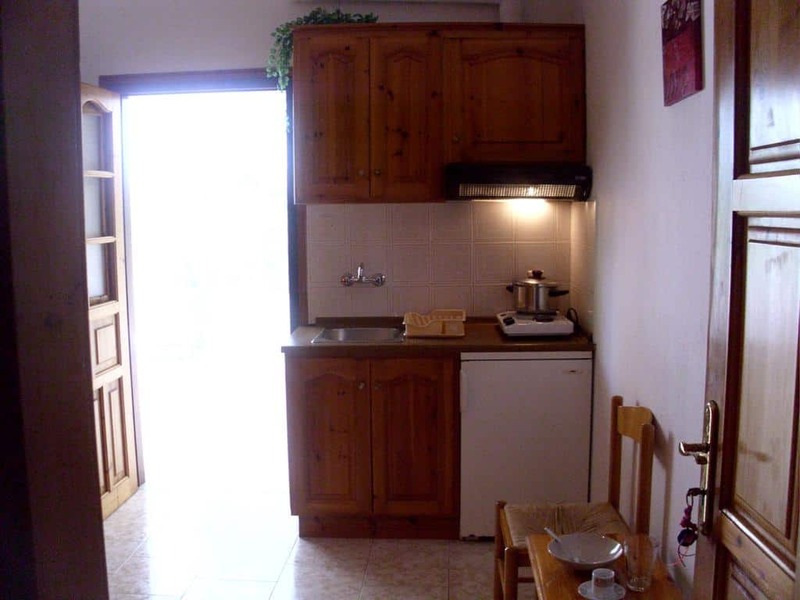 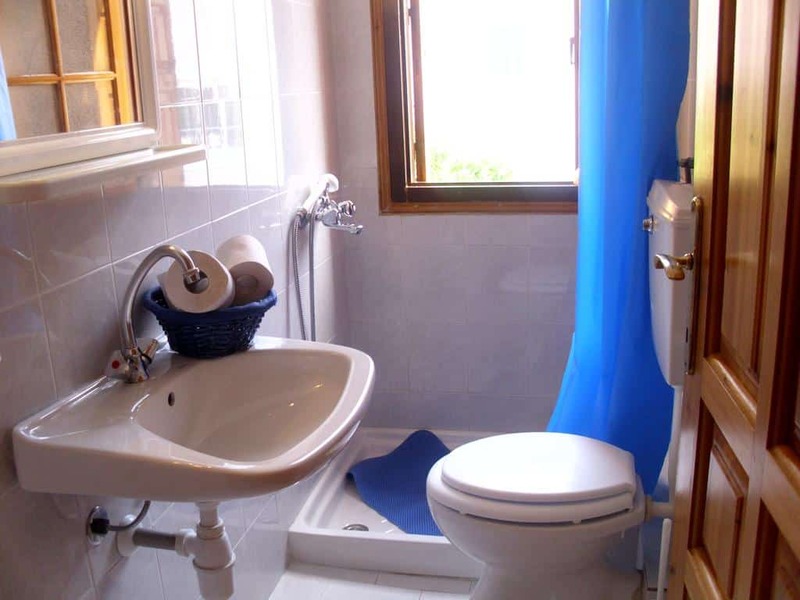 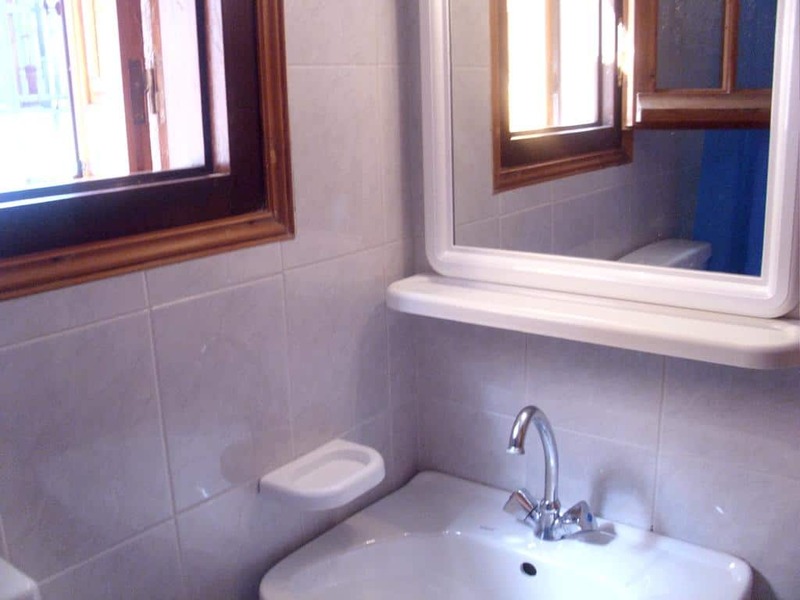 Dafni Studios offers self-catered, air-conditioned studios and apartments. 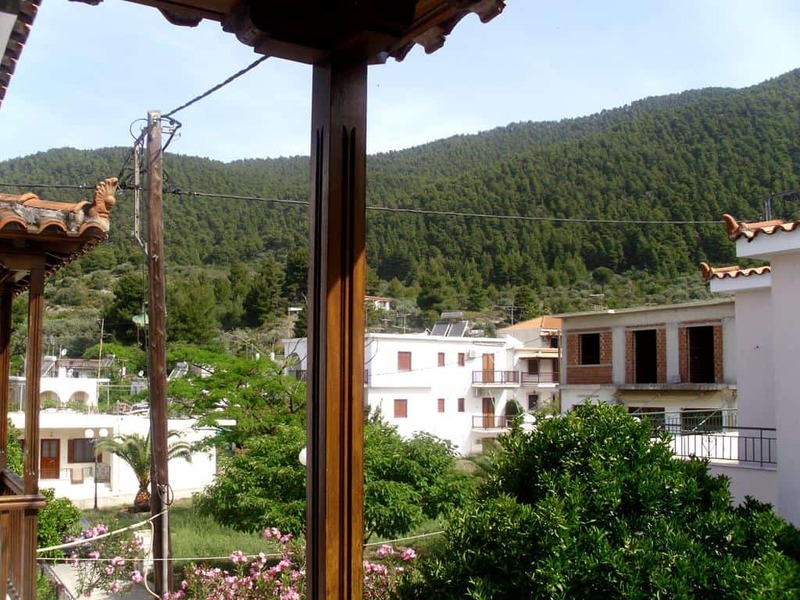 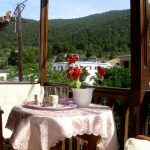 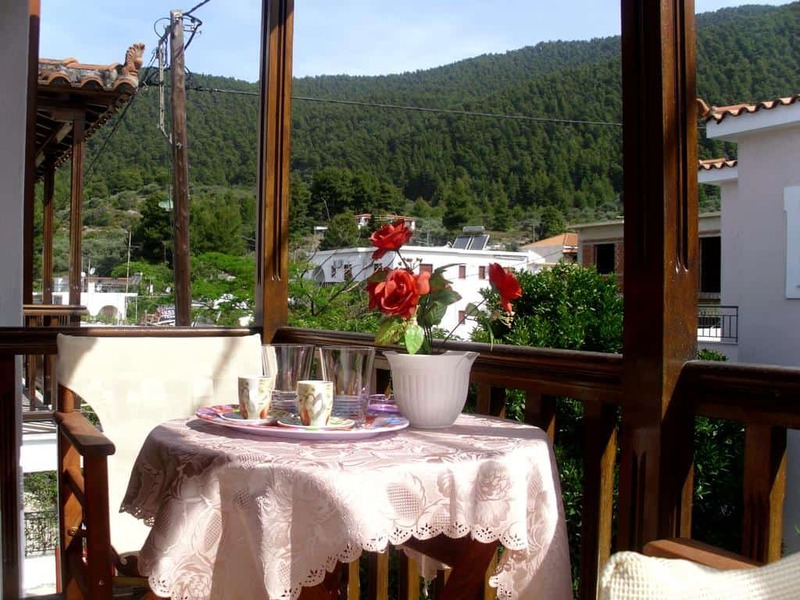 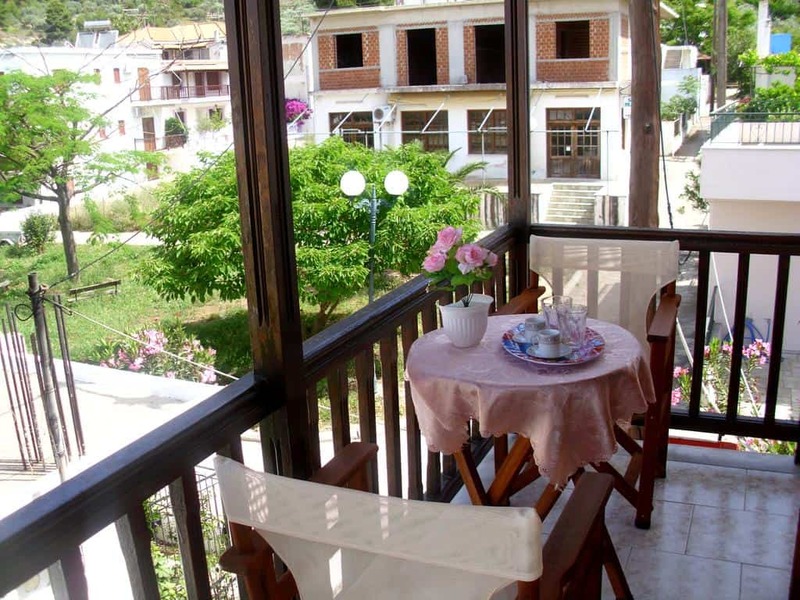 They all have a balcony and views of the garden or of the pine hills of Skopelos. 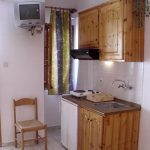 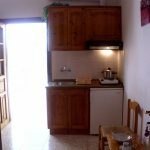 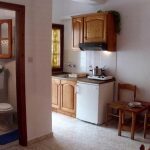 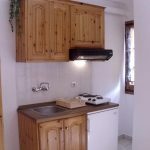 Furthermore, all units at Dafni Studios, in Neo Klima on Skopelos island, have a TV, a kitchenette with cooking facilities, a fridge and a coffee maker. 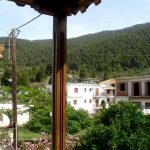 In Neo Klima there are several traditional tavernas and restaurants to taste the delicious traditional dishes of Skopelos island. 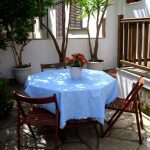 Some of the popular dishes are the cheese pie, the grouper stew and desserts with plums and almonds. 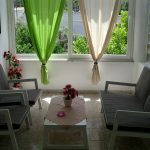 Moreover, for those seeking entertainment, in Neo Klima there are cafes and bars where you can enjoy your coffee, refreshment, drink or even cocktail. 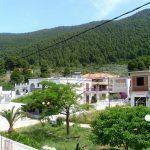 For those who love sports there is a football and a basketball court, while kayaking is also available in Neo Klima beach. 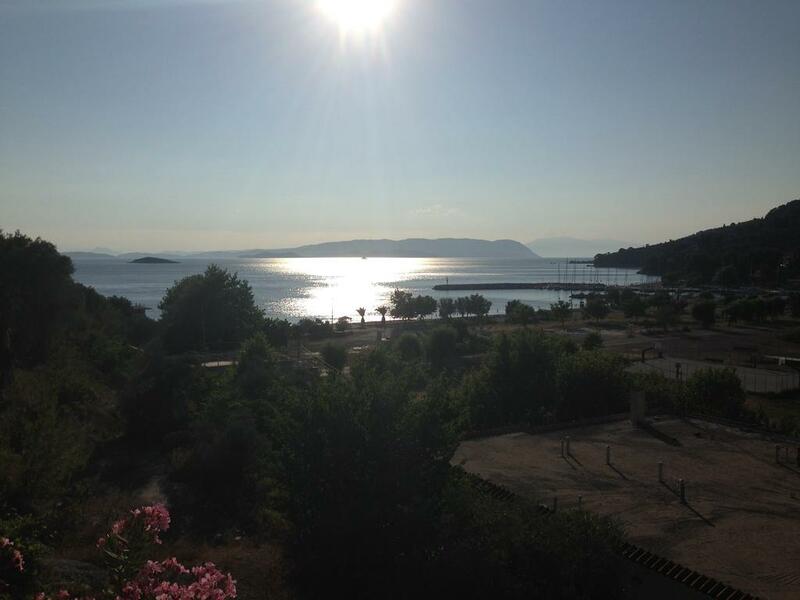 There is also a playground for our little friend and a marina for yachts and boats. 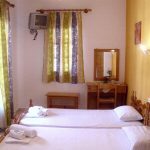 Close to the Dafni Studios there are super markets, bakery and seasonal shops, while gas station is near too. 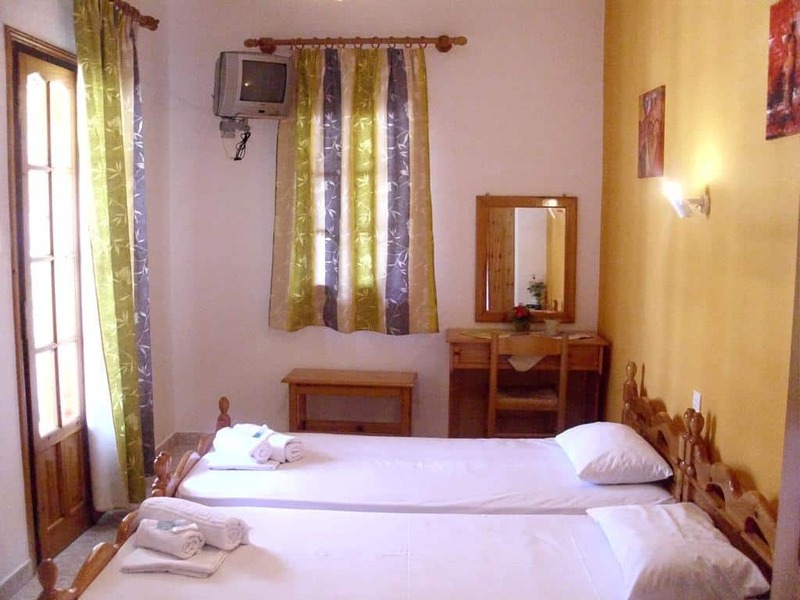 The famous Kastani beach is 5 km from the accommodation. 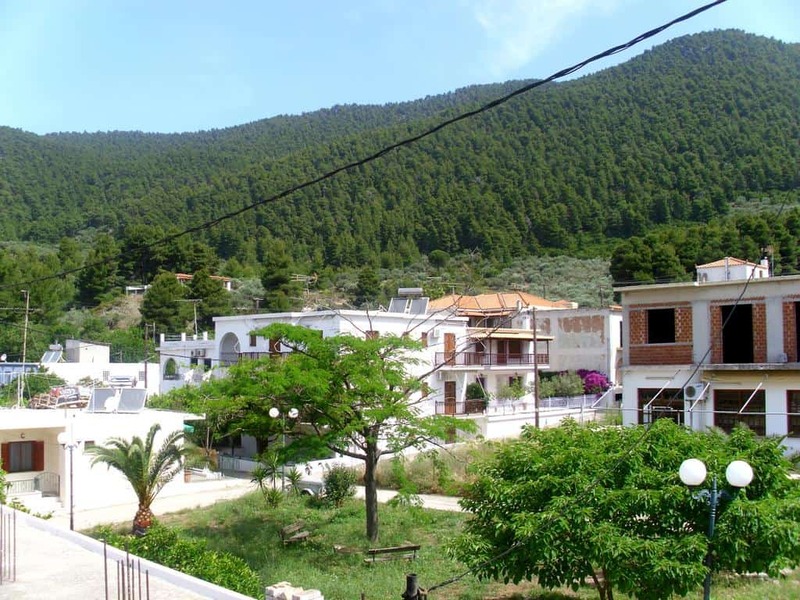 Kastani beach became so popular since many scenes of the Hollywood movie Mamma Mia were filmed there. 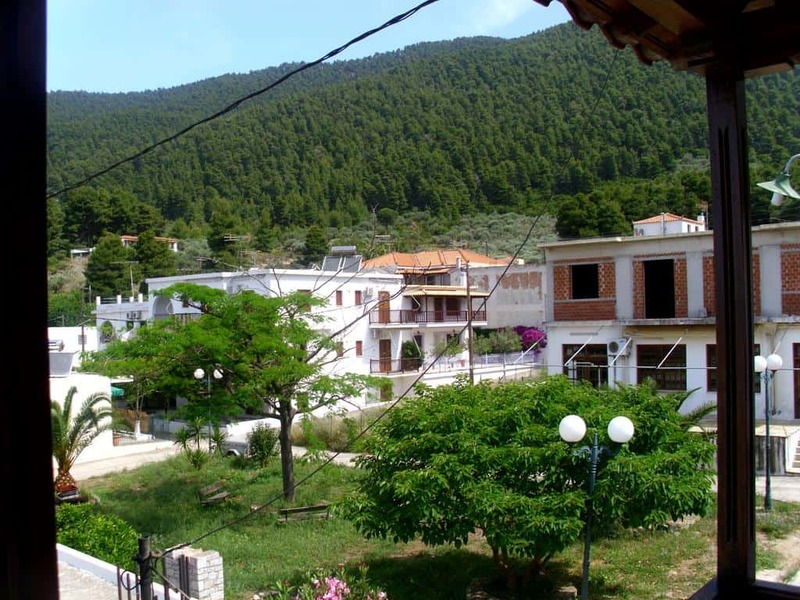 Other magnificent beaches are Panormos, Hovolo, Milia, Adrines, Limnonari, Agnontas, Stafylos and Velanio. 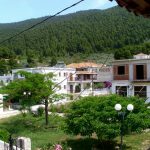 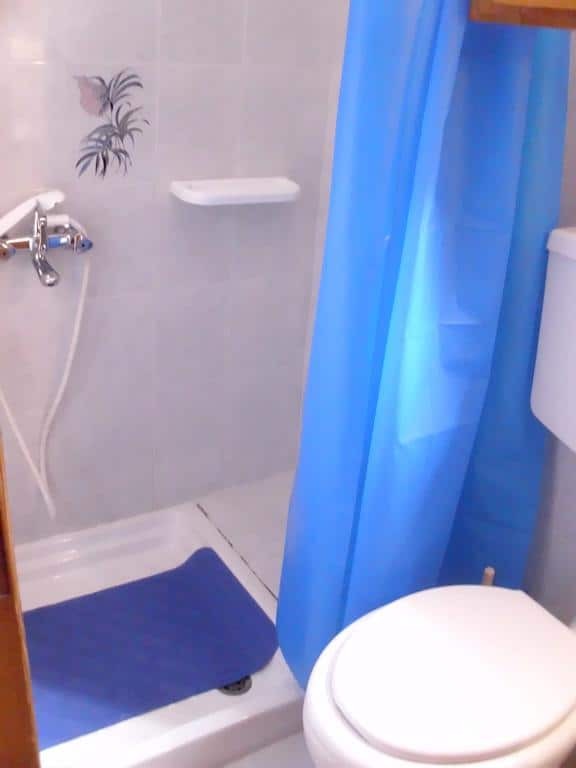 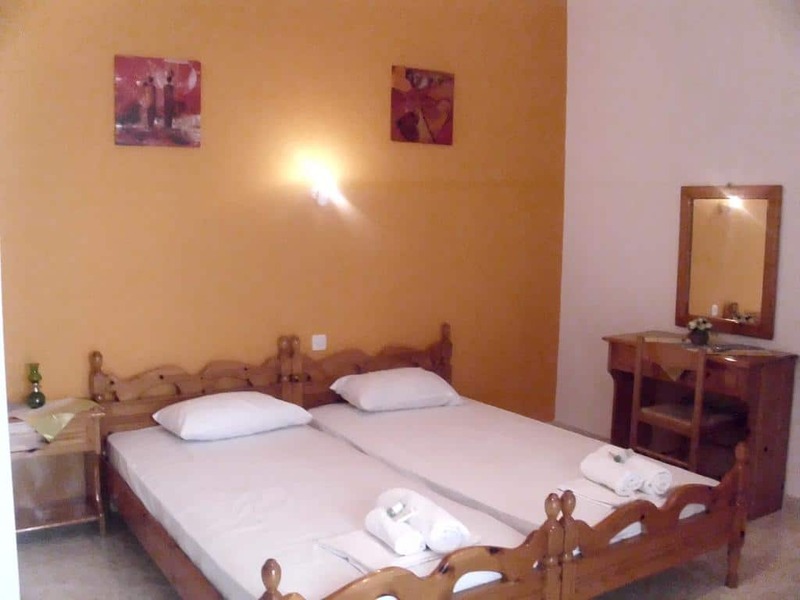 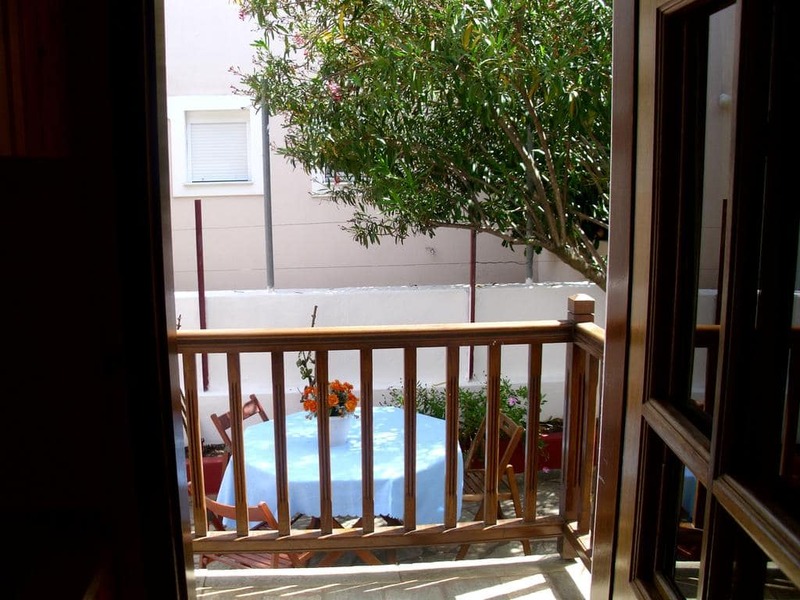 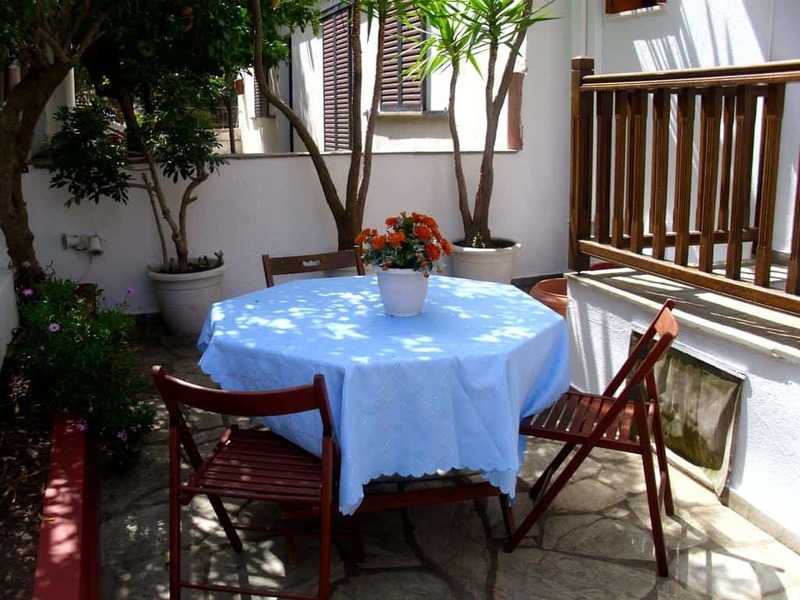 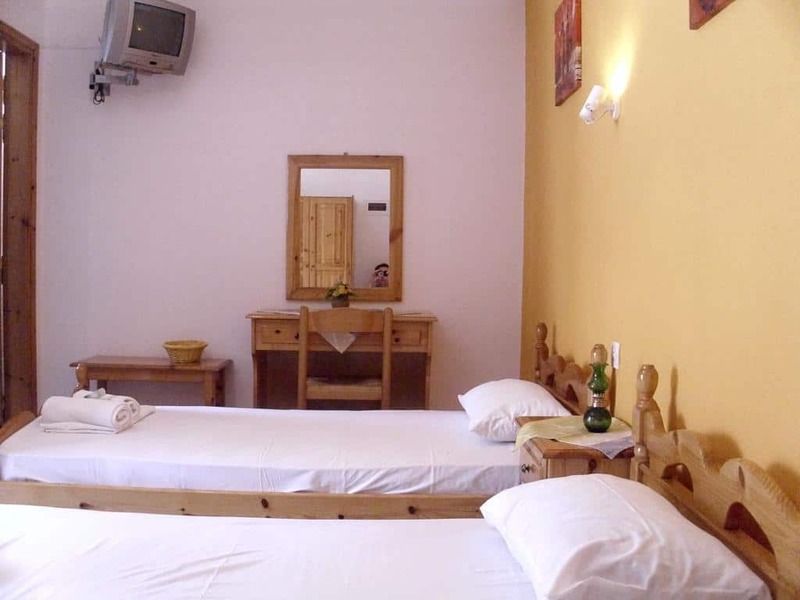 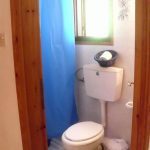 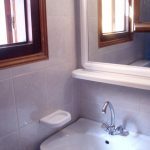 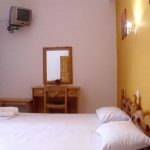 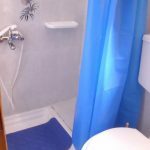 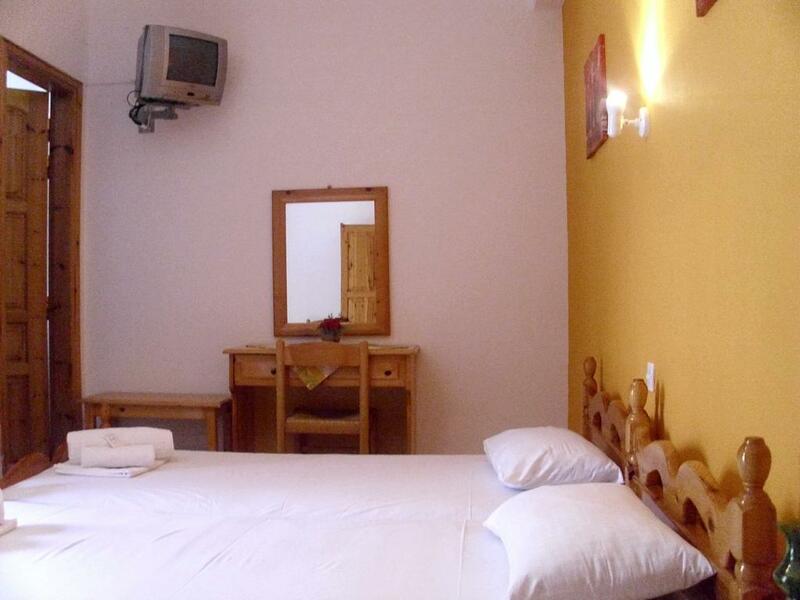 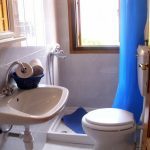 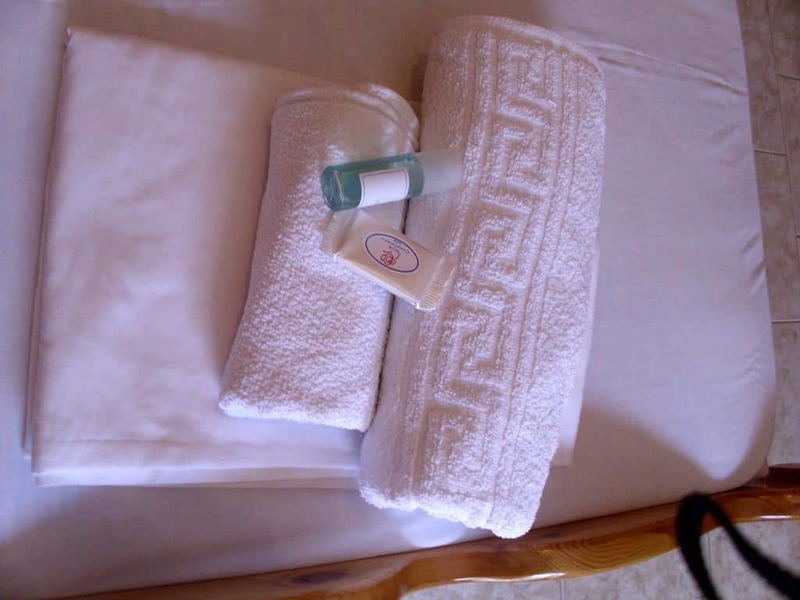 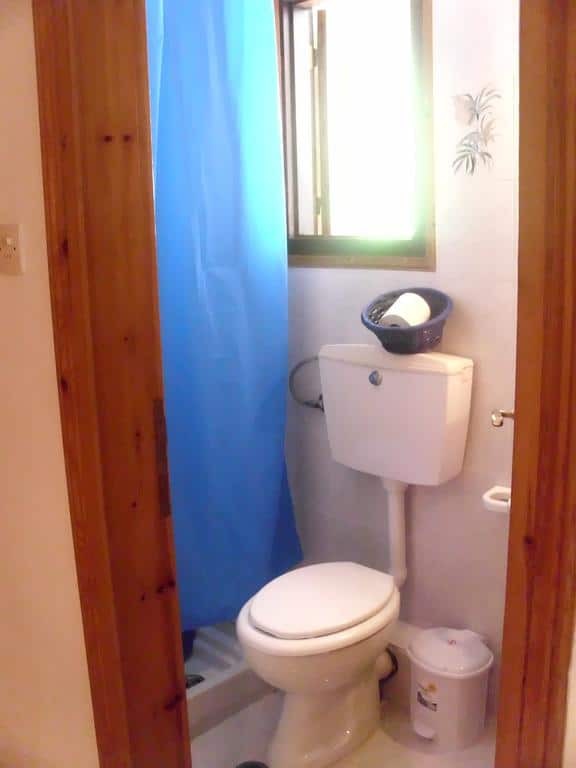 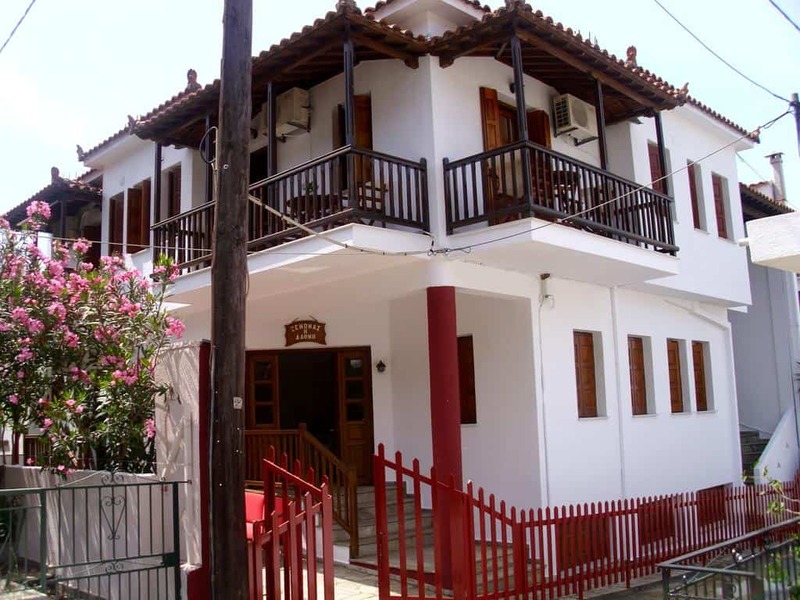 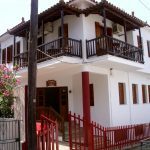 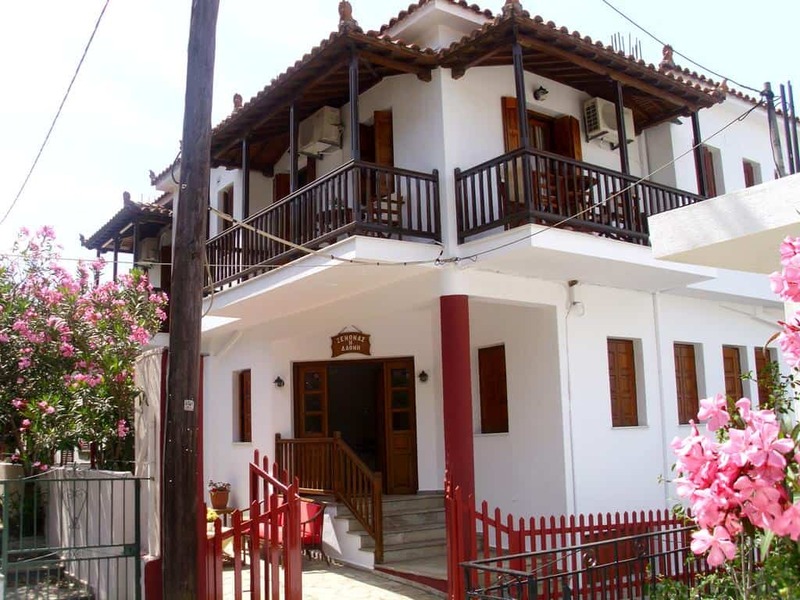 Dafni Studios are a 30-minute drive from Skopelos Town and a 15-minute drive from Glossa.